BCDB Rating: "Ami's Secret" has not yet received enough votes to be rated. This page has been viewed 11 times this month, and 820 times total. Cartoon Characters: Ami Onuki, Yumi Yoshimura, Kaz, Jeng Kang, Tekirai, Wacky Wally. Voice Actors: Ami Onuki, Yumi Yoshimura, Grey DeLisle, Janice Kawaye, Keone Young, Phil LaMarr. Directed By Darrell Van Citters. Written By David Slack, Michelle Lamoreaux, Robert Lamoreaux. 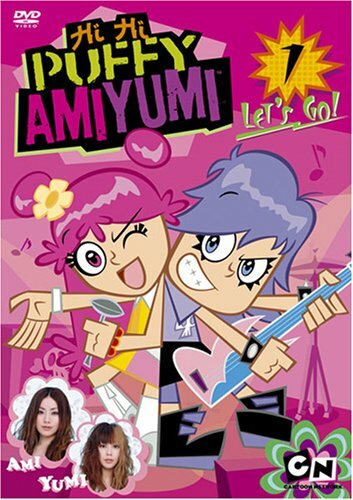 Music: Ami Onuki, Yumi Yoshimura. First Aired on November 26, 2004. Do you have anything to add to this page? Have we made any mistakes... or do you have any additional information about Ami's Secret? If so, we would love to hear from you. Please send us a quick note with your additions or corrections to this page, and we will make the corrections as soon as possible! Do you love Ami's Secret, or do you think it is the worst cartoon ever? Let us know what you think! Surely you have an opinion... so share what you think. Take a minute and post your own comments about this cartoon here. Ami's Secret by Big Cartoon DataBase is licensed under a Creative Commons Attribution-NonCommercial-ShareAlike 4.0 International License.